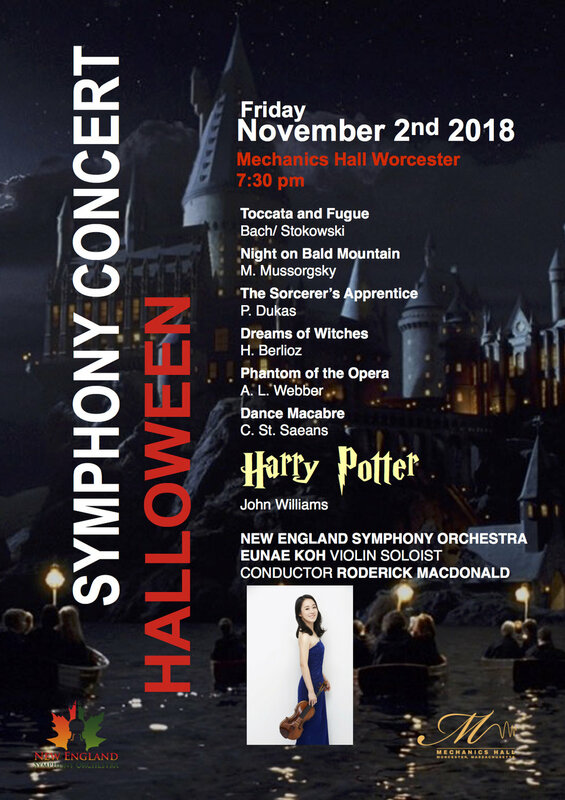 Halloween Concert: the New England Symphony Orchestra presents a costume party with music and film at Mechanics Hall in Worcester. The music of John Williams accompanying film 'Harry Potter' as well as many other great favorites like 'the Sorcerer's Apprentice', Night on Bald Mountain, 'Witches Sabbath', Dance macabre', & Toccata and Fugue. This is a concert for the whole family where everyone brings a costume or at least a funny hat.